Seeing more of the world, pushing your limits and self-improvement are common New Year resolutions made by people across the world on December 31. But while many are broken or quickly forgotten, the resolution Laura Kearley made herself this time last January has become an exciting new reality. A year ago, Laura was spending New Year in Hobart, Australia, watching on as a friend raced from Sydney on Da Nang – Viet Nam, in the Clipper 2015-16 Race. 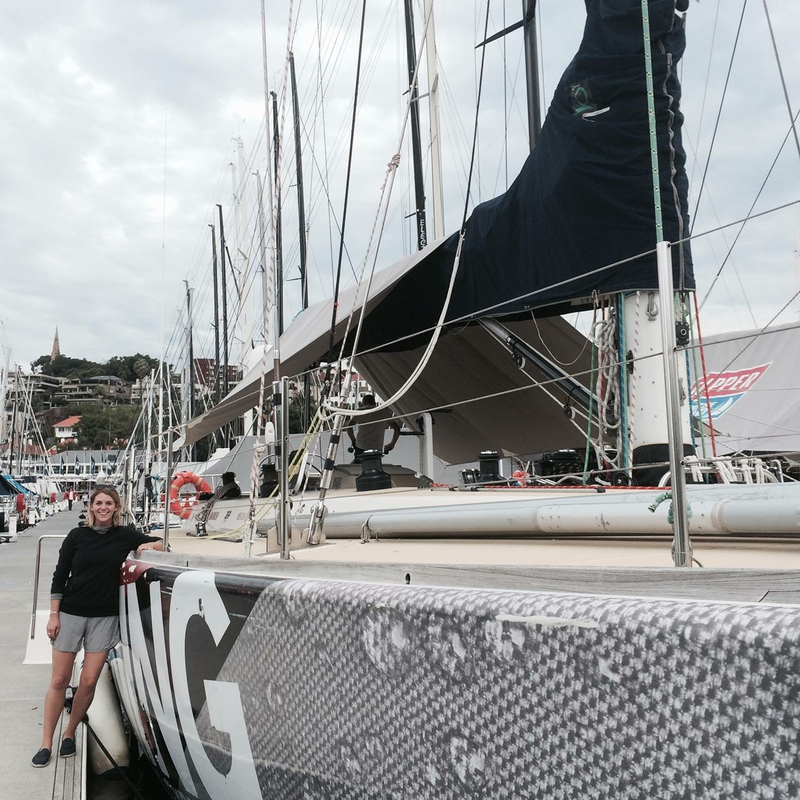 “The excitement of their arrival [into Hobart] was overwhelming,” says Laura. Just hours later, Laura had signed up for the Clipper 2017-18 Race, and was headed down to Hobart’s Constitution Dock to ring in the New Year, and her new adventure, in style. Laura is a key example of how no experience is required to become part of the Clipper crew. Despite growing up on Sydney’s Northern Beaches, she wasn’t a born sailor. “We sailed dinghy’s every weekend but I actually hated it,” says Laura. That has all changed. Laura is now busy training to spend eight months racing halfway round the world. Laura will be joining the fleet for Leg 5, and will then race all the way to the finish line back in the United Kingdom. Of all the ports she will potentially visit, which is unknown yet as only Qingdao so far has been confirmed, New York is the one she would be looking forward to the most. Laura lost both parents at a young age but will be taking them with her throughout her journey. As a teacher, Laura’s students are also a big driving force. Right now, the teacher has become the student. Laura completed Levels 1 and 2 of her training back to back in Sydney, and admits it was a steep learning curve. There were just as many highs though, with Laura describing the overall experience as “awesome”. She will be undertaking Level 3 in the New Year, before travelling to Gosport in the UK to complete her training. If you would like to join Laura and race the world’s oceans, contact our Crew Recruitment Team at: mailto:oceanracer@clipper-ventures.com or call +44 (0) 2392526 000. You can now relive all the action of the Clipper 2015-16 Race as our TV series Race of Their Lives 2 is now available to order on DVD. The seven-part human adventure series box set which contains four high quality DVD discs with seven one hour (52 minute) episodes of the TV series, plus bonus ‘My Story’ videos, can be ordered at Bookharbour.com for £24.95 inc VAT.